Watch easy-to-follow poker game play and analysis for free. 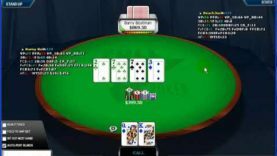 In this short video, we will cover the following concept: Heads Up Table $5/$10 – Commentary Part 02. Keep learning about winning poker strategies at www.DragTheBar.com.